HATCH: The Early Learning Experts recently highlighted research to promote healthy social-emotional development in young children. 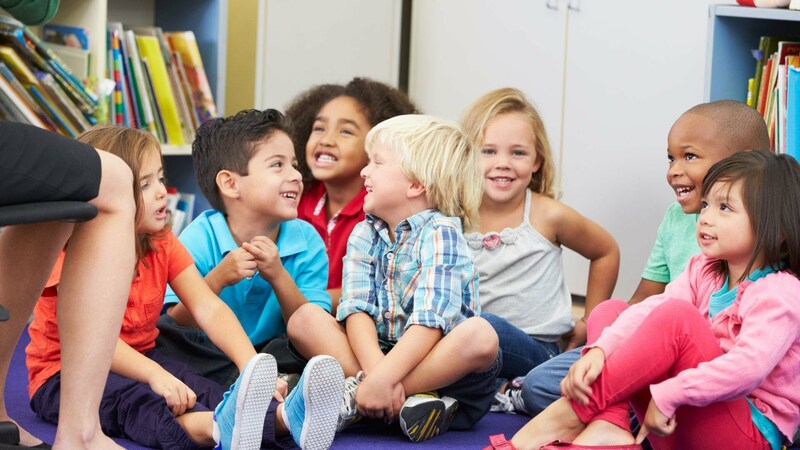 In the webinar, “Promoting Healthy Social-Emotional Development in Young Children: Tips for Early Childhood Teachers and Providers”, it exposed early childhood teachers and providers to the insights of early social-emotional development research and strategies to implement social-emotional learning into the classroom. Social-emotional development is the process of developing young children’s social interactions, emotional awareness, and self-regulation. Social interactions are the foundation to social-emotional development. As a child develops socially, they can develop skills, such as taking turns and forming friendships with others. Additionally, emotional awareness allows children to identify their feelings. The awareness of one’s emotions is central in terms of developing self-regulation as well. Self-regulation development is the ability for a child to control their behaviors in appropriate ways. For example, learning to calm themselves down when mad or excited. Why is Social-Emotional Development Important? There is an enormous research base that shows that social–emotional development is incredibly powerful and important in the lives of young children. Firstly, the development of relationships creates a foundation of trust, security, and attachment for young children to explore the world with confidence. It also allows them to manage their emotions by knowing that their parents or families are there as a secure foundation for them to return to. The research presented throughout the webinar exhibited, a foundation of strong relationships is directly connected to positive academic performance. Young children with strong social-emotional development also lead healthier lives later on. The healthier lifestyles are due to their ability to communicate with others, manage their emotions, and persevere through challenges, which allows one’s mind to be free to focus on education and exploration of the world. Finally, positive social-emotional development is particularly important in the development of children who are impacted by poverty. Create a nurturing, predictable environment – teachers need to be intentional about the classroom space. Look at rearranging the classroom to have group spaces, quiet spaces, and play spaces to situate the space to minimize challenging behavior or conflict. In addition, for the children who may struggle with social-emotional behaviors, make them feel included and be patient. A strategy suggested is to alter the language used when communicating with the child, use “we” or “us” when asking them to wait their turn, instead of “you”. Always follow up with positive notes when they act appropriately. Support children in developing social skills- use daily activities within the classroom to support this key element of social-emotional learning. Integrating activities, such as pretend play, are a great outlet to work out hypothetical issues or challenges to teach children how to deal with certain situations or emotions they may not understand. To help support children in developing social skills, teachers have to have a real understanding of the classroom dynamic and social-emotional milestones the children have already met or still need to meet. Recognize and talk about emotions- children, teachers, and parents bring their feelings and thoughts into the classroom every day and influence interactions with one another. Being able to recognize thoughts and feelings and communicate them is vital to successful social-emotional development. Educators need to reinforce to children that their thoughts and feeling are okay and matter. In addition, teach children to have the words to express these thoughts and emotions appropriately. Encourage positive behaviors and use positive discipline practices- educators should communicate their behavior expectations clearly to the class. These expectations can take the form of a few simply rules that teachers can use and refer back to while with the children. Children use what they observe as the basis of their behavior and mental understanding of how to engage with others. So most importantly, the educators should be modeling this behavior as well. Finally, offer children choices to let them know that there is trust and give them control in decision-making, an opportunity they do not regularly get in their everyday lives.